If you want to learn more about me click on the About link. If you would like me to speak at a conference, writing group or other event click on the Media Kit link. 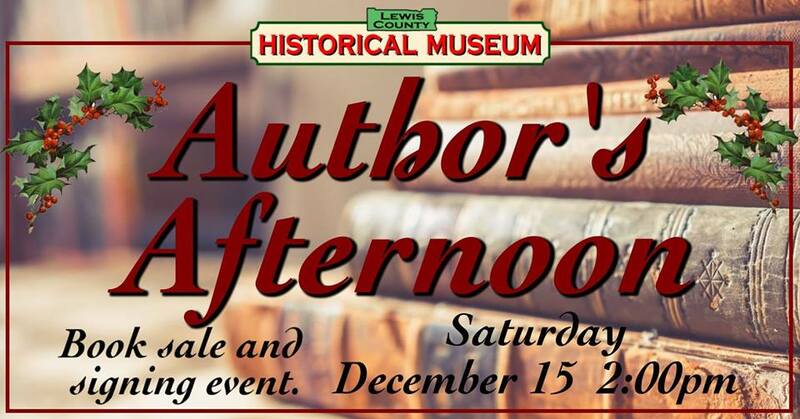 Join me and eleven other authors for a fundraising event at the Lewis County Historical Museum. Meet and chat with me and the other authors, buy some books for Christmas and have the authors sign them. The fun begins at 2:00 PM on Saturday, December 15th at the Lewis County Historical Museum, 599 NW Front Street, in Chehalis. Today is the debut of All Things Indie. Each week, along with my co-host Jennifer Vandenberg, we will bring you a value-packed podcast designed to hone your writing craft, introduce you to knowledgeable indie authors, and provide new insights to book marketing. 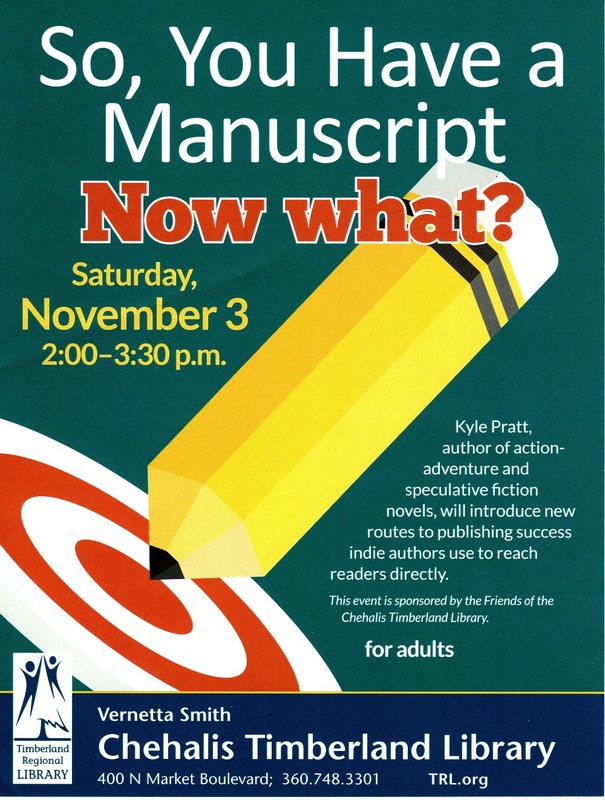 Kyle Pratt and ten other local authors signing their latest books on Saturday, November 17th at The Station Coffee Bar & Bistro, 120 South Tower Ave, Centralia, WA, from 10:00am to 2:00pm. Christmas is coming and this will be the perfect time to pick up that unique book for the reader in your family. Don’t miss this event. Click here to read the official press release which includes the complete list of authors. With all the new writers struggling to finish their novel during NaNoWriMo, I thought it might be a good idea to give some guidance on how to move forward with their completed manuscript. On September 8th I’ll be attending my local conference, the Southwest Washington Writers Conference. This one-day event is held in the nearby town of Centralia and I attend every year. I’ve taught at the conference several times, and I’m on the governing board. However, this year I’ll just be sitting in on some of the workshops, meeting friends and hopefully making new ones. If you’re there come up and say hello. I’d love to meet you. From August 20 through 23 I’ll be attending the Oregon Christian Writers Conference at the Red Lion Hotel on Jantzen Beach in Portland. I’ll be there meeting old friends, making new ones, and hopefully learning a thing or two. If you’re there come up and say hello. I’d love to meet you. I’ll be signing books with fellow author and friend Stefanie Btidges-Mikota at the Napavine Funtime Festival. If you happen to be in the area come by and say hello. I’ll be speaking at the Lewis County Writers Guild meeting at The Station Coffee Bar & Bistro, in Centralia, Washington State. My topic is Advance Marketing - It costs, but it pays. I’ll be getting up early this morning to be interviewed by Parker J. Cole of PJC Media and WLUV Detroit. We will be talking about the recent release of the first book in my new science fiction series, Seekers of Earth. Click here for additional information about the interview.